Lorenzo de’ Medici’s sculpture garden | get back, lauretta! The Piazza San Marco on the former Via Larga, which is now Via Camillo Cavour, was where Lorenzo de’ Medici’s Sculpture Garden was situated in Florence. In the map below, you can get a sense of where the garden was in relationship to Piazza San Marco. The sculpture garden would have been where the words “Army Facility” show below. The Google map showing a satellite view, gives an even better sense of this former garden area. Think away the Army building to the south end of the space, where Via Cavour and Via degli Arazzieri intersect, and you can see that there is still garden area in the site of the former Medici garden. 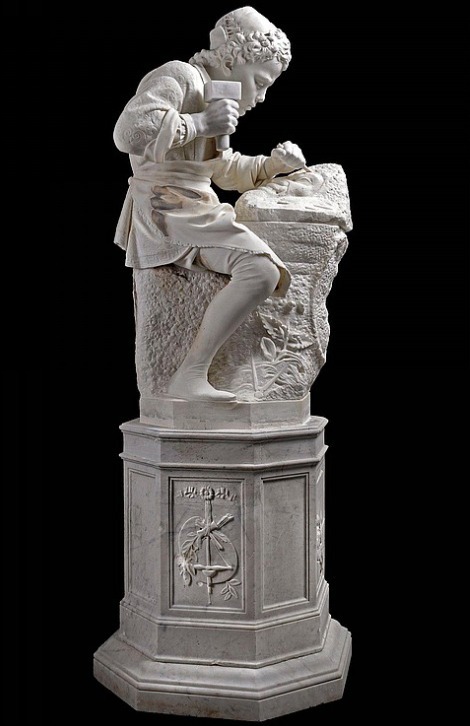 Created with the hopes of becoming a great educational institution for studying art, Lorenzo de’ Medici curated a garden full of antique sculptures for artists to come and sketch as part of their artistic practice. Lorenzo also added sleeping and dining quarters so that students could easily live among the work they were studying. Francesco Granacci and Bertoldo di Giovanni are two of the many people to enter through its doors. The most famous story of Michelangelo’s time in the Garden surrounds Michelangelo’s Faun statue. When Lorenzo saw this statue, he jokingly told Michelangelo that he looked too perfect to be an old faun. Michelangelo than took his drill and knocked out one of the teeth in the mouth of the Faun. 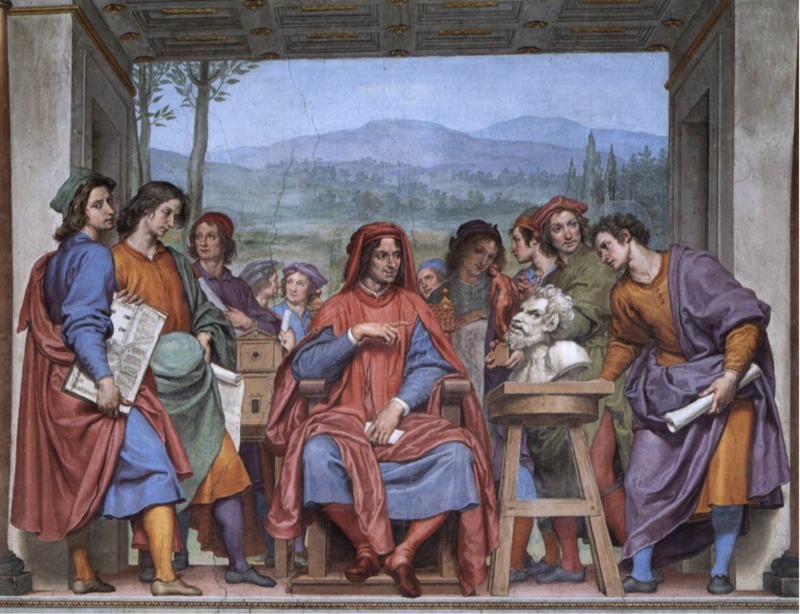 He showed his subtraction to Lorenzo who gained much amusement and pleasure from Michelangelo’s ability to listen and act on his critique. Although the Faun statue has not been found, the two works of Michelangelo’s attributed to this time period are the Battle of the Centaurs and the Madonna of the Stairs.